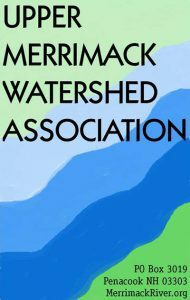 The Upper Merrimack Watershed Association (UMWA) partnering with the Central New Hampshire Regional Planning Commission (CNHRPC), and with support from the New Hampshire Department of Environmental Services (NHDES), is seeking statements of qualifications from professional firms, partnering organizations, and other entities to work with UMWA and the CNHRPC to develop a watershed management and restoration plan for the Turkey River watershed. To learn more about the project and process, questions and submission procedures, and further information please download the full request for qualifications by clicking here. This entry was posted in Announcements/Events, General, Hiring a Consultant, Public Involvement/Outreach, Watershed Protection (High Quality Waters), Watershed Restoration (Impaired Waters), Watershed-based Plans. Bookmark the permalink.